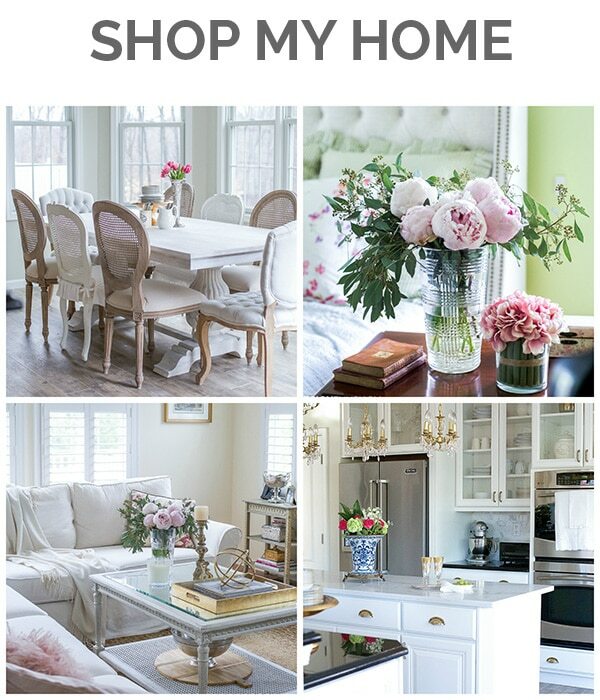 Welcome to day 3 of Styled + Set, the Summer Entertaining Blog Tour I’m hosting here on the blog this week. If you missed days 1 and 2, you can find the links at the bottom of this post. 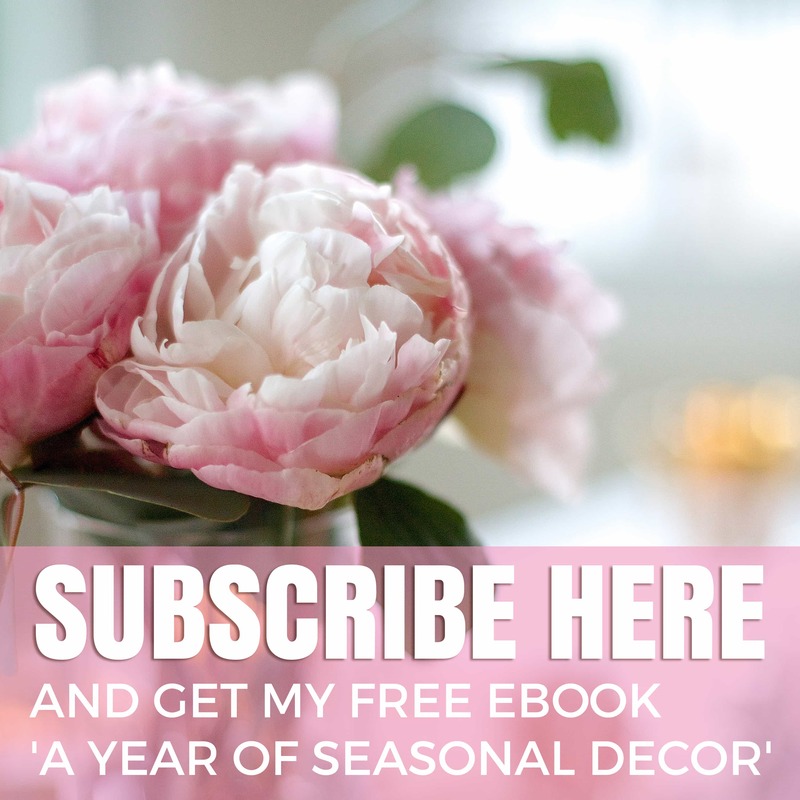 You can also find new posts from today’s group of talented bloggers, right below my post. 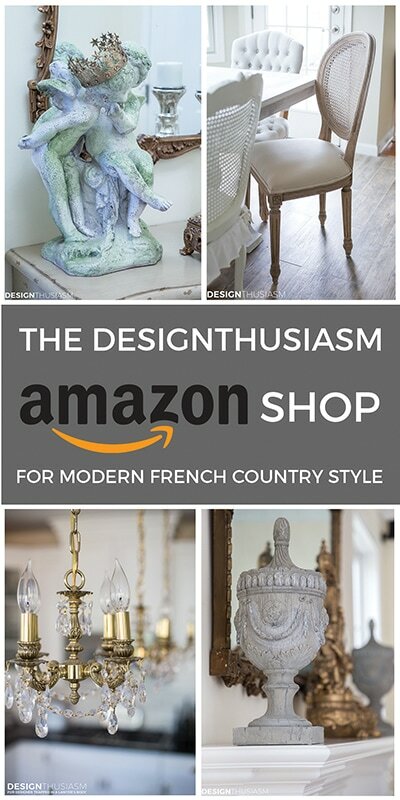 If you’re coming over from French Garden House, let me welcome you. 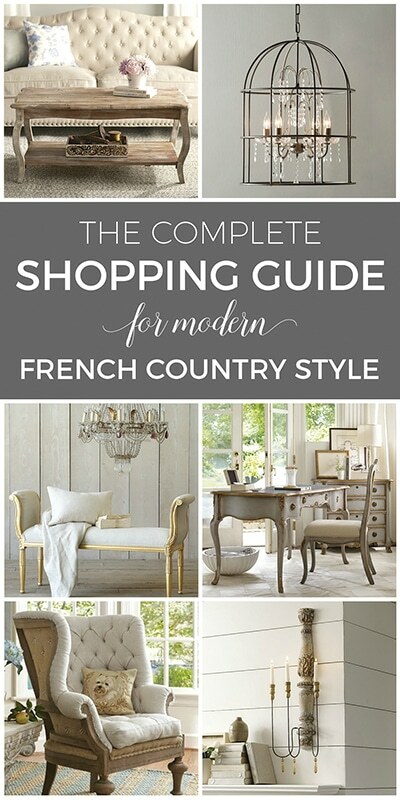 I’m a huge fan of Lidy’s lovely French style and I’m quite the francophile myself. 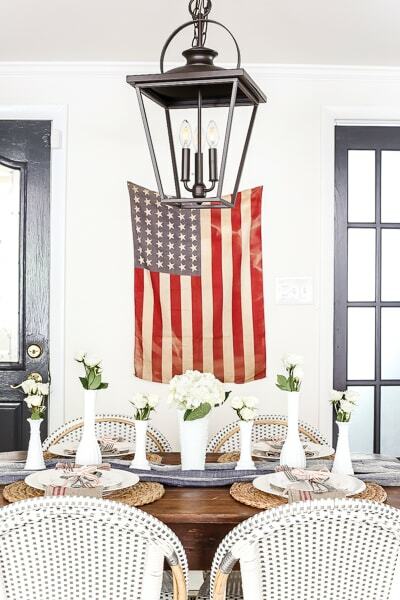 But today’s table is decidedly American in feel, apropos for the week before Independence Day. 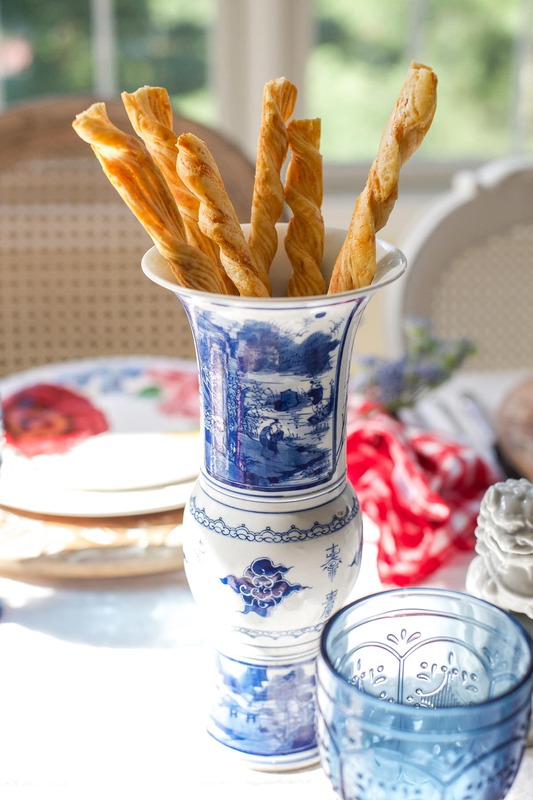 So let’s look at 7 ways to add the unmistakable flavor of summer to your next dinner party table. As with any season, there are certain visual cues that immediately signal summer to us. The most obvious revolves around dining outdoors, but when that’s not convenient, brining the outdoors in is equally as fun. 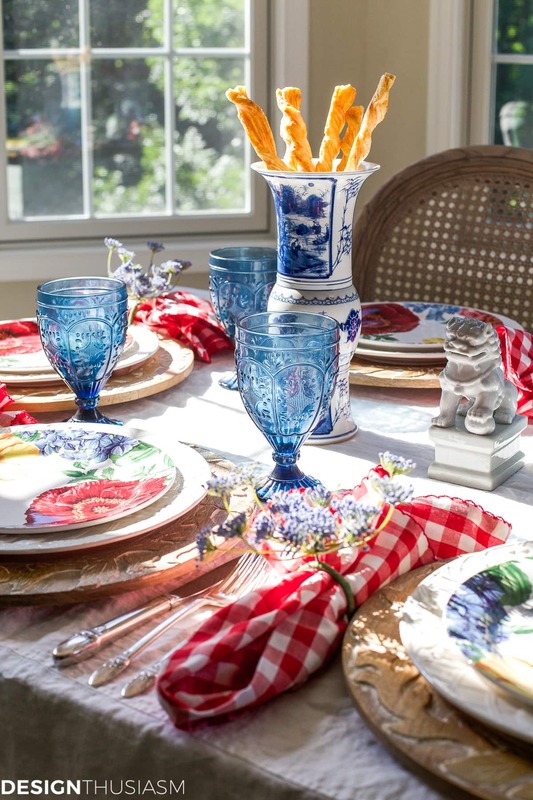 This tablescape utilizes what I would call garden party decorations to anchor its identity. Here are the key components to help you achieve this look. 1. 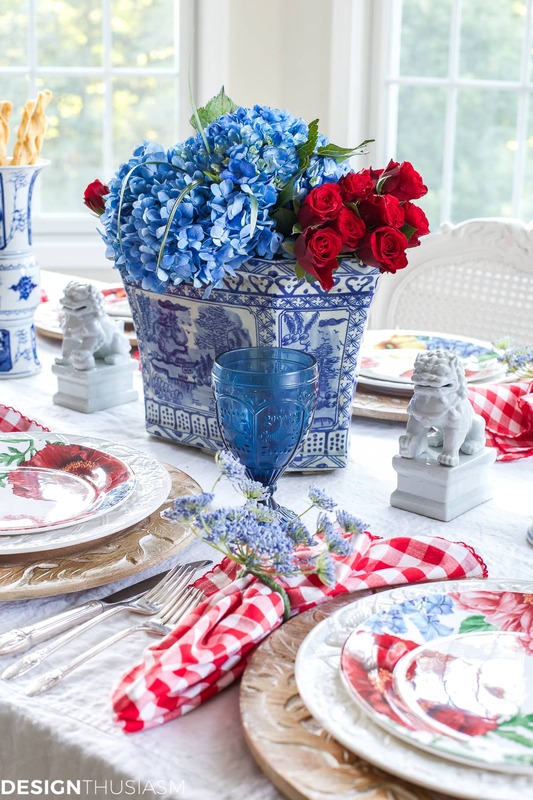 Red, white and blue centerpiece – while this tablescape is not strictly red, white and blue, they are the dominant colors in the somewhat broader palette. 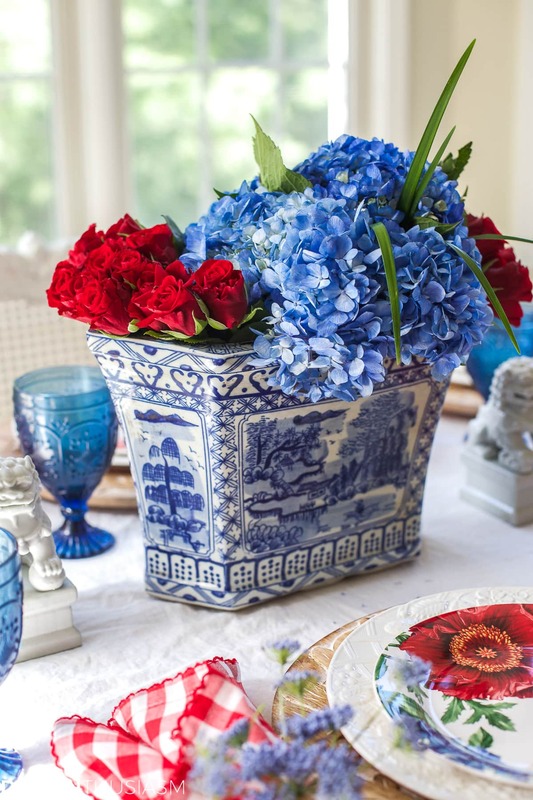 The patriotic colors in this centerpiece would certainly work for the Fourth of July, and as such communicate a summery feel. 2. 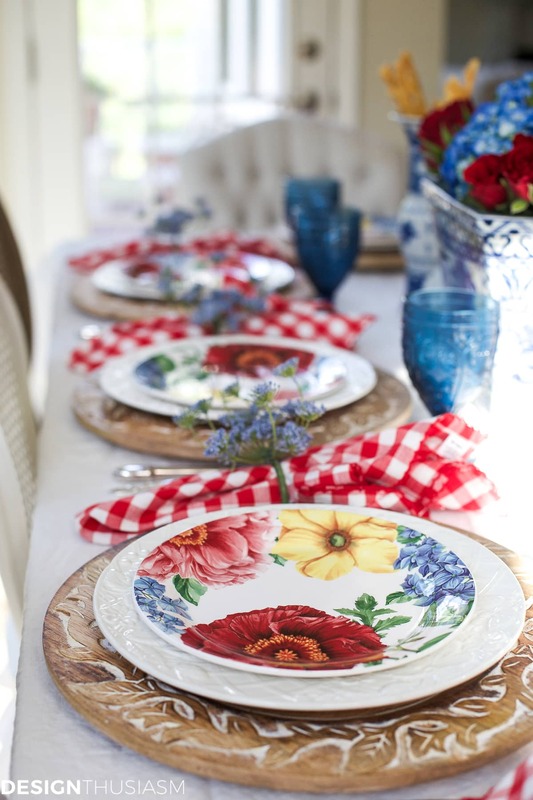 Garden floral plates – in addition to fresh flowers, the garden floral salad plates are a distinct nod to summer. The vibrant colors distinguish the look from spring florals, which tend to include more pinks and pales than this more primary palette. 3. 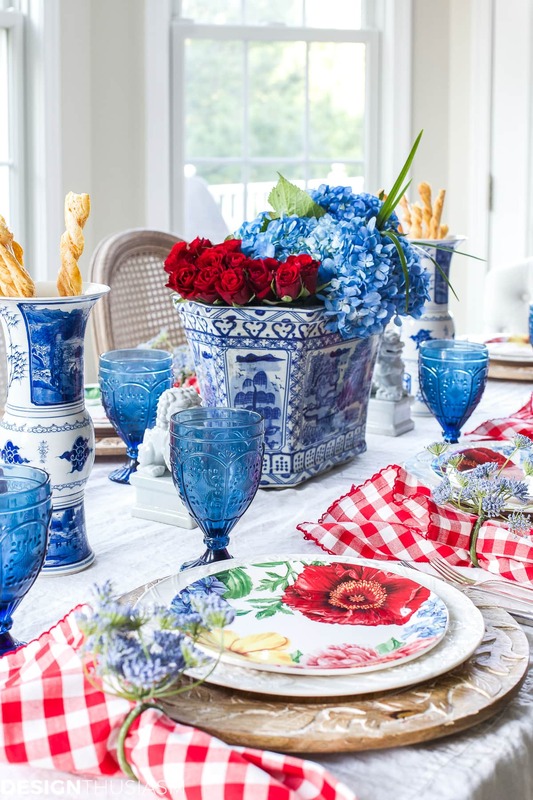 Blue and white chinoiserie – blue and white porcelains can be popular at any time of the year, but for me, adding them to a table immediately cheers it up. For summer mix them with bright florals like the ones here or possibly with sunflowers. 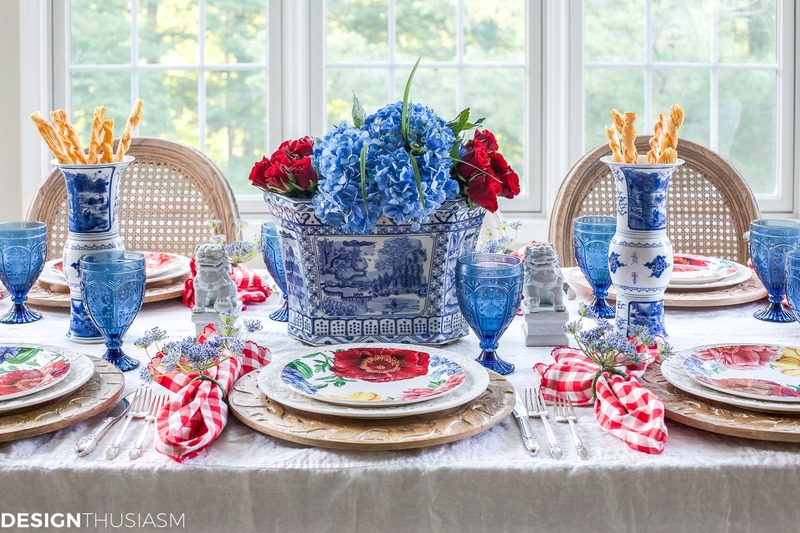 The strong patterns work well with the bold style of the table setting and the blue is reminiscent of blue skies and clear waters. 4. Floral napkin rings – for a garden party theme, it’s nice to balance a mix of florals, from fresh and vibrant, to painted and colorful, and these soft blue napkin rings provide the perfect soft counterpoint to all that brightness. Played off pinks and lilacs, they’d work well for spring, but for summer I like them paired with these stronger tones. 5. Gingham check – apart from flowers, nothing says summer quite like gingham checks, especially done in red and white. 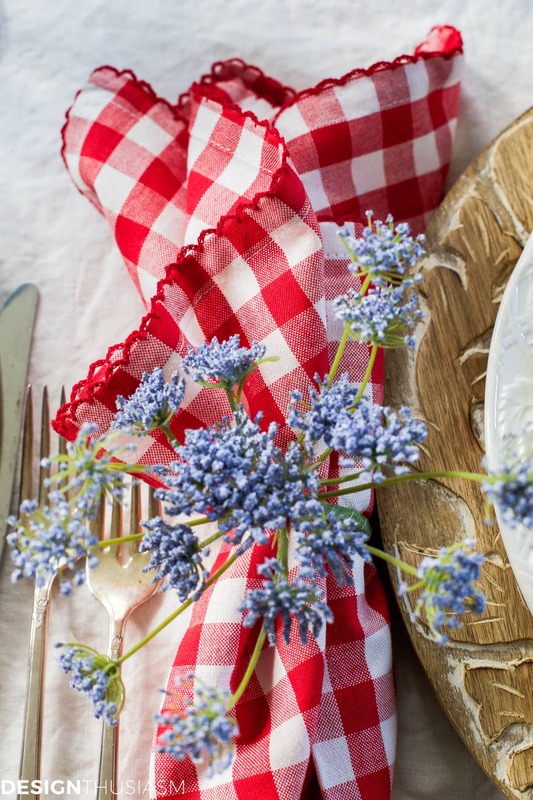 They pretty well scream picnic or kerchiefs and sundresses, and in any case, they’re a summer staple that very much defines this table’s vibe. 6. Laundered linen tablecloth – the laundered linen tablecloth in soft calm white is a reminder of summer linens hung outside to dry. Who doesn’t love white linens wafting in the summer breeze? 7. Chunky wood chargers – a touch of chunky wood is the last component I’d add, for those who love to spend time outdoors. I always like to add bits of nature to my tables and in summer it gives the table a casual camping feel. Of course, the best element of all is one I was lucky enough to blessed with the day I photographed this table and that’s the sun streaming through the windows. What would bright summer colors be without sun-drenched lighting? For a unique look, I tend to approach my tables in a somewhat counter-intuitive way. 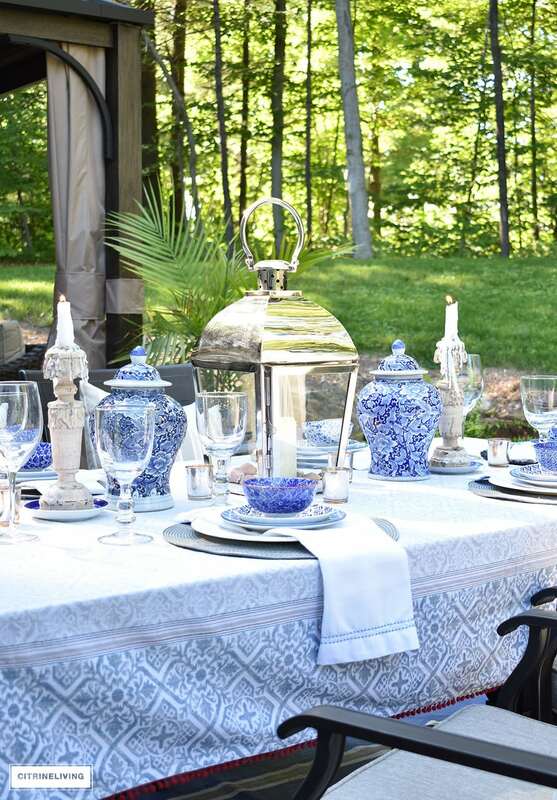 I love to use crystal and china to dress up an outdoor table, but for indoor summer entertaining, I’m all about a casual garden party! Please take some time to visit the other wonderful posts linked below. Next stop is Tamara’s gorgeous outdoor table at Citrine Living. Enjoy!! Thanks, Lidy! A pleasure to have you along on this tour… 🙂 And yes, summer is such a happy season! 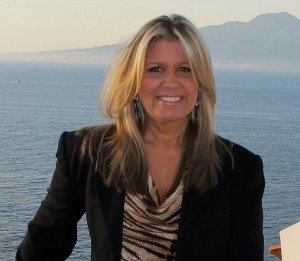 Thank you, Tamara! And yes, I can’t wait to get over to your post because the teaser photo is stunning! Love having you join us!! This is summer perfection Lory! 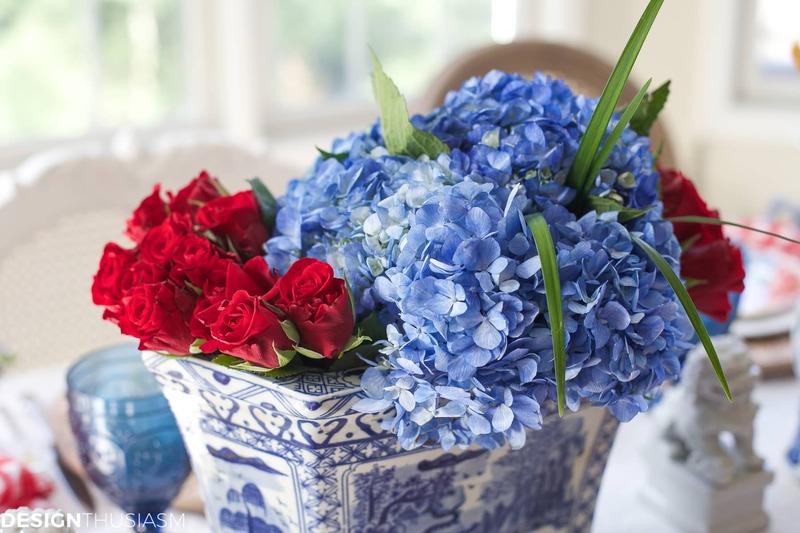 I love the combo of the hydrangeas and roses. Those floral plates are on sale so I just may treat myself. Thank you so much for putting this tour together. It was such a bright spot in my week! Thanks so much, Ann! I think it was a bright spot in a lot of people’s weeks because of all the gorgeous posts from the whole group… 🙂 I know I enjoyed it!! So fresh and beautiful Lory! 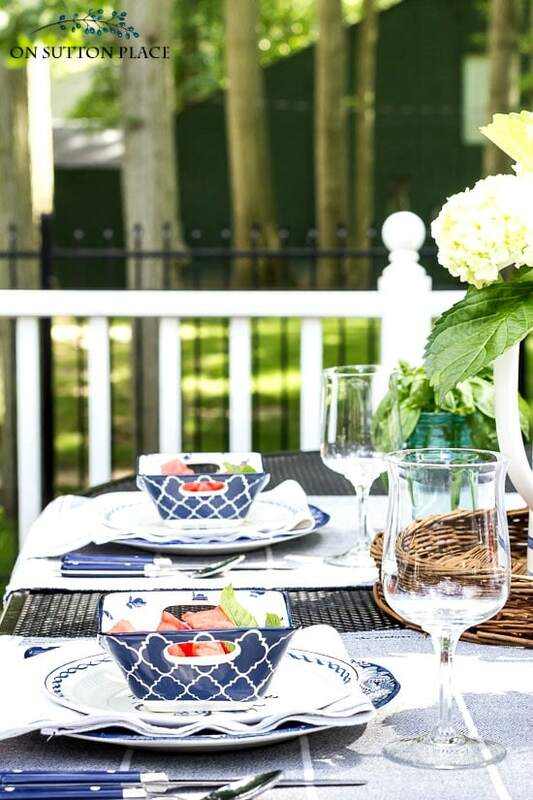 I love the blue porcelain mixed with the floral plates, wood chargers and every little touch you added. And those cheese sticks are a fav too! Thank you for the opportunity to be a part of this stunning tour! 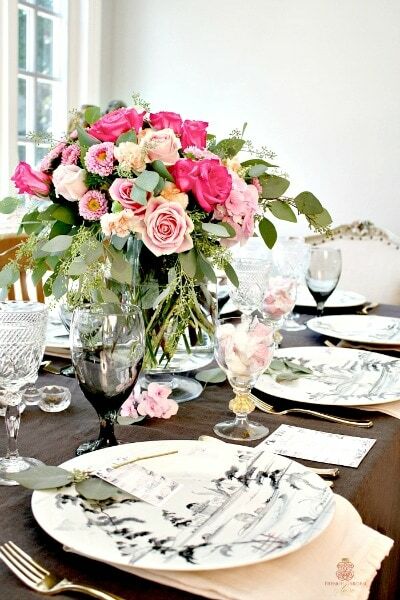 Love your table setting! I choose yours out of all the ones shown – just love the pops of red in the centerpiece and the checked napkins! 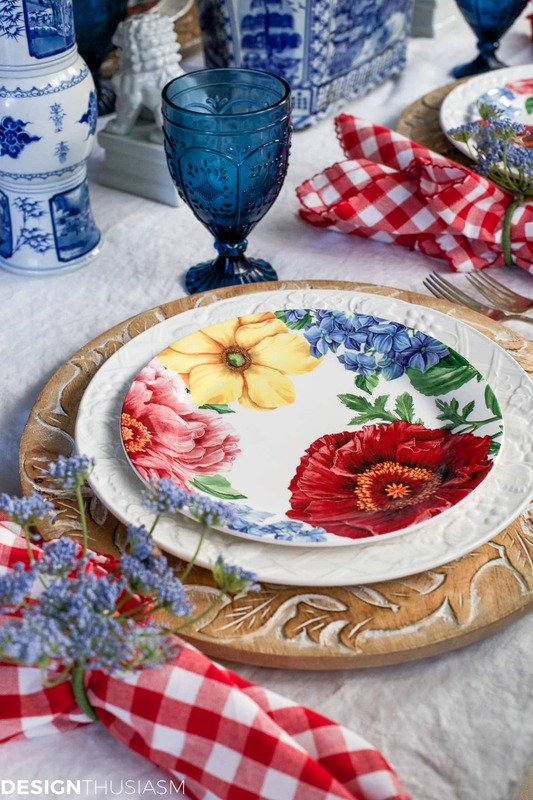 Your flowered salad plates are gorgeous! 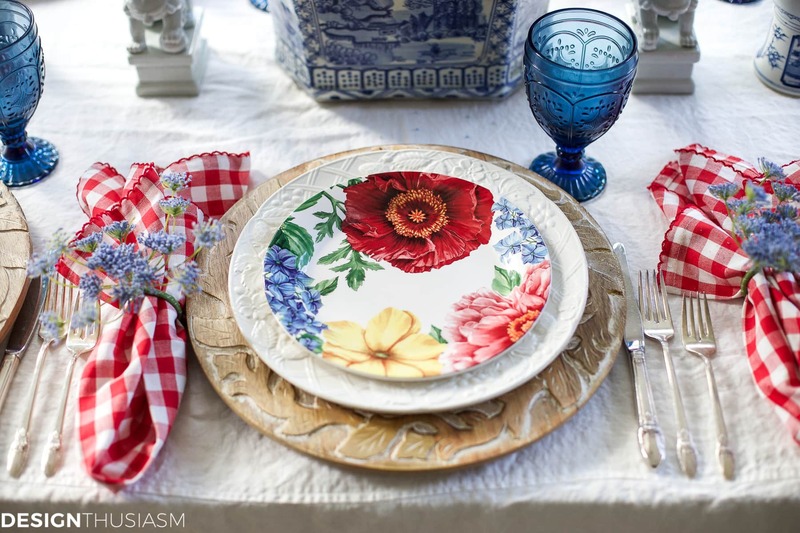 Love those flowers on the plates and the blue goblets. This is just lovely. I can picture myself having dinner and being so happy at your table (wish it was mine!!!) STUNNING! Thanks again for hosting, and for including me in such a talented group! So beautiful Lory! I love the colors and design aesthetic. Happy 4th of July, my friend! 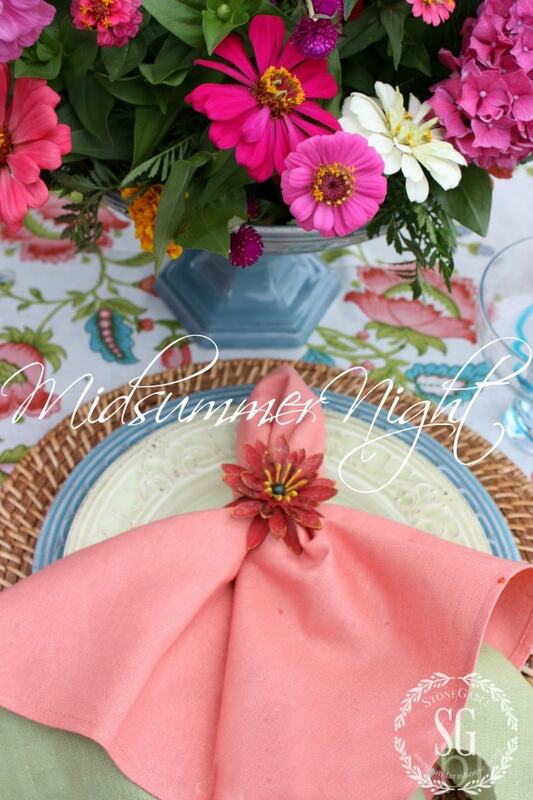 This table feels like summer and I love the vivid colors. My children keep telling me that the last thing I need is new dishes, and I’m in love with your colorful plates. I typically buy colorful salad plates to pair with a white dinner plate, but after seeing this set I think I need these dishes. Thanks for the inspiration! 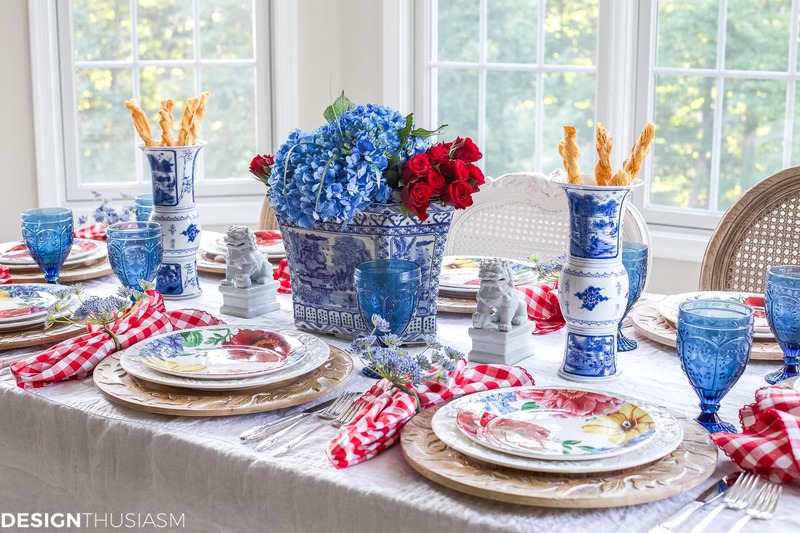 What a gorgeous table to welcome Summer and yes, an American table with the blues and the red checks. The floral plates are lovely too. Love it all Lory and thanks for your tips too.